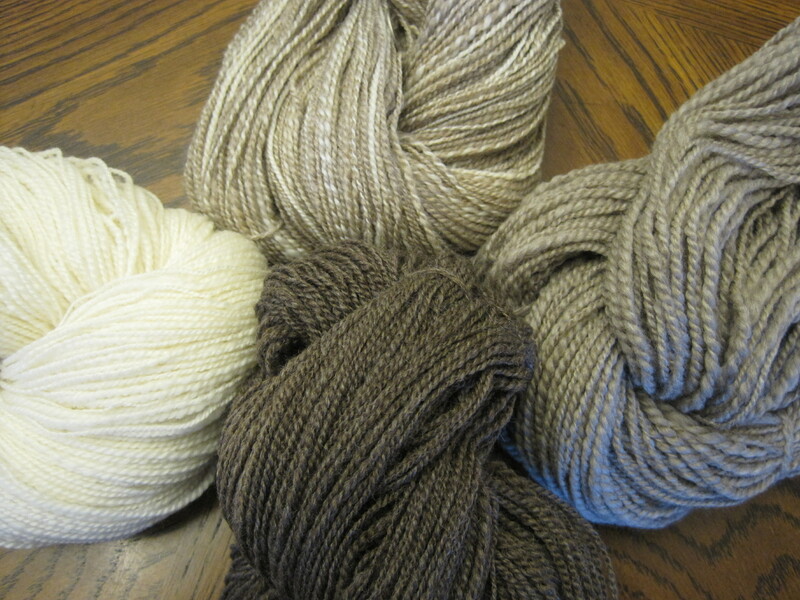 It is now this: four yummy skeins of soft and squishy woolen spun yarn. I’m not sure what I am going to make with it yet, but loved the experience of spinning these natural coloured Moorit wools from Western Australia. 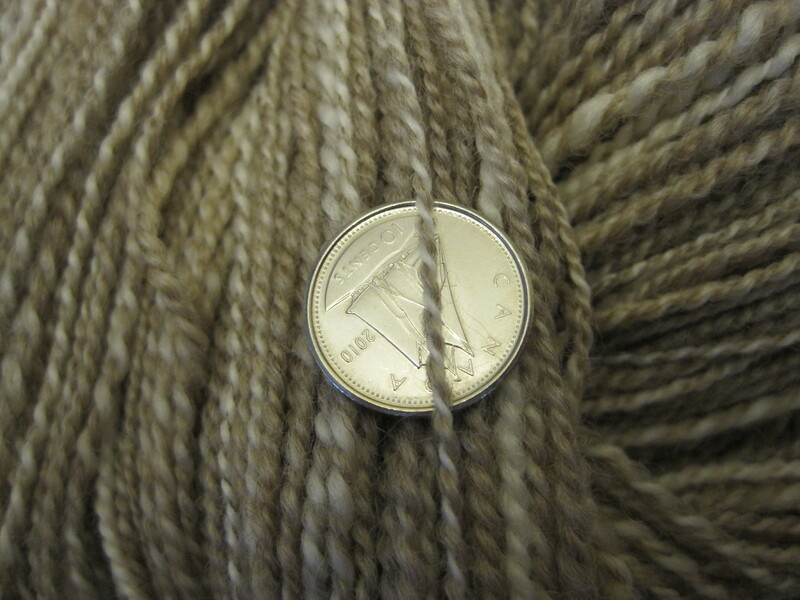 It spun up so easily, and I believe the wool is a Corridale/Merino cross. Yardages vary, getting thinner and smoother as I went along: Silver-196 yds; Light – 353 yds; White – 367 yds and Charcoal – 470 yds. 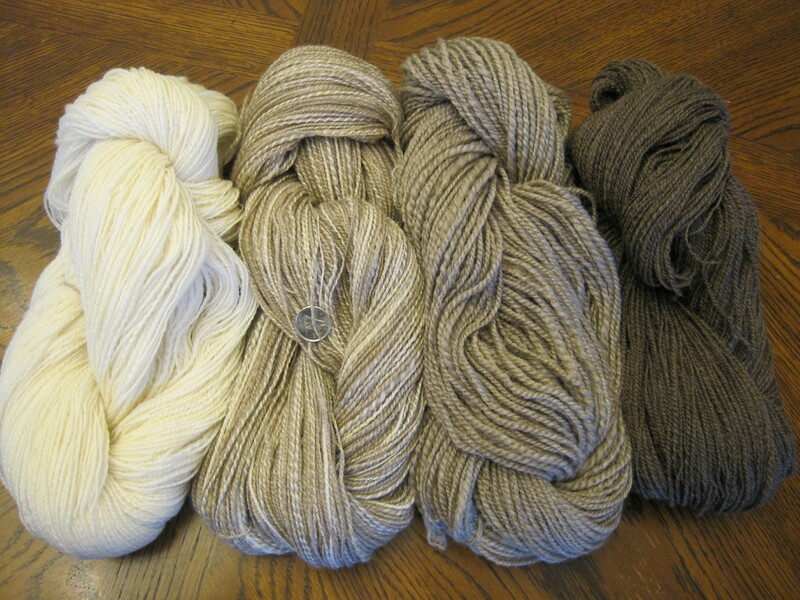 Anyone have any suggestion on what they would like to see this yarn made into? 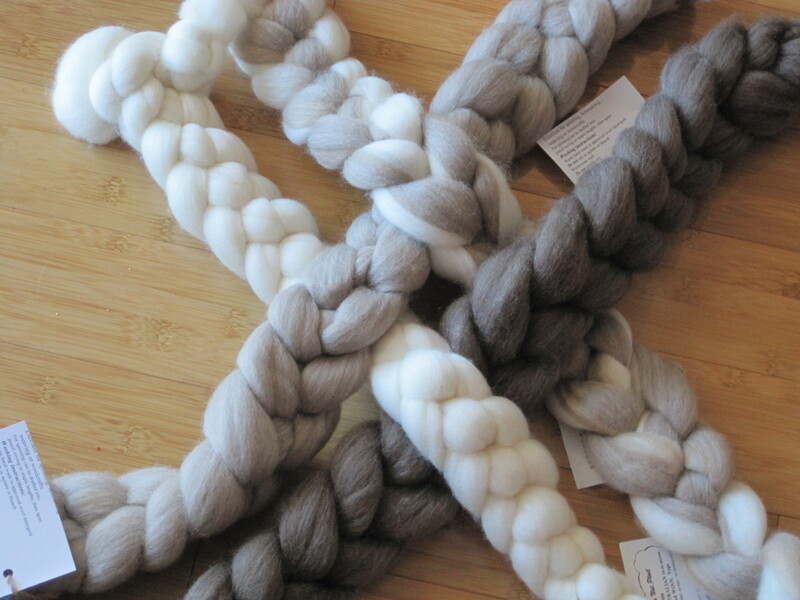 This entry was posted in Spinning and tagged moorit, Spinning, Western Australia, Wool, yarn. Bookmark the permalink. 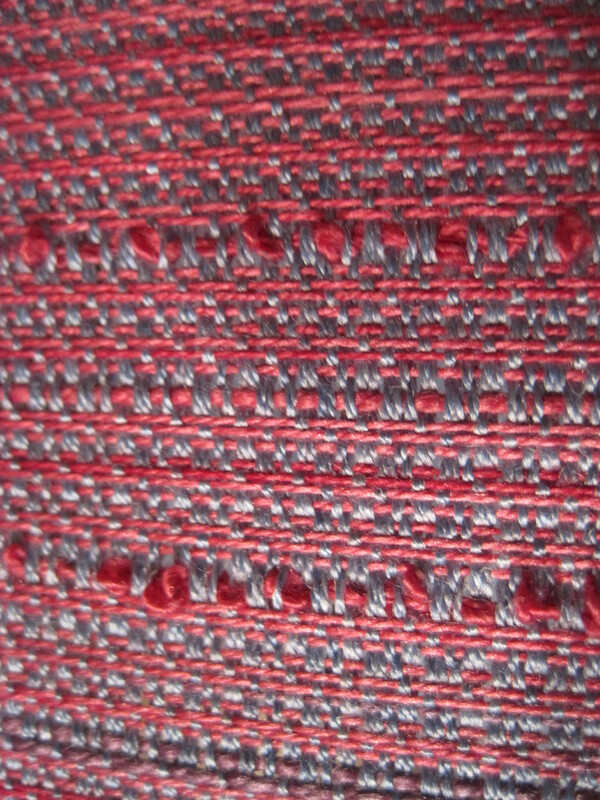 love the colours of the yarn, I think whatever you make will look great, have fun with it!